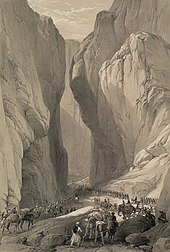 In the 15th century, Mir Chakar Khan Rind became the first Sirdar of Afghani, Irani and Pakistani Balochistan. He was a close aide of the Timurid ruler Humayun, and was succeeded by the Khanate of Kalat, which owed allegiance to the Mughal Empire. 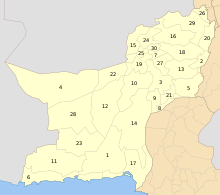 Later Nader Shah won the allegiance of the rulers of eastern Balochistan. 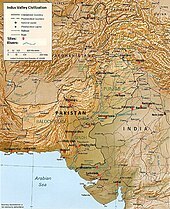 He ceded Kalhora, one of the Sindh territories of Sibi-Kachi, to the Khanate of Kalat. 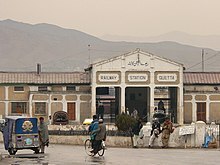 Ahmad Shah Durrani, founder of the Afghan Empire, also won the allegiance of that area's rulers, and many Baloch fought under him during the Third Battle of Panipat. 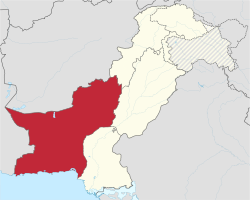 Most of the area would eventually revert to local Baloch control after Afghan rule. ^ "Gawader". Pakistan Board of Investment. Archived from the original on 2 October 2006. Retrieved 19 November 2006.